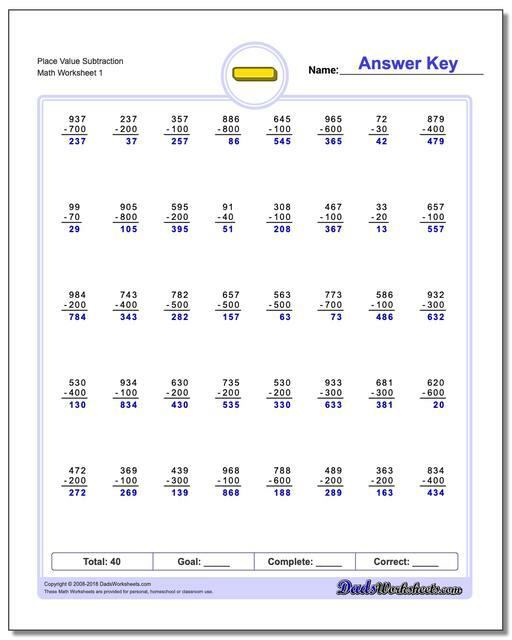 One of the next steps in learning subtraction is understanding place value. 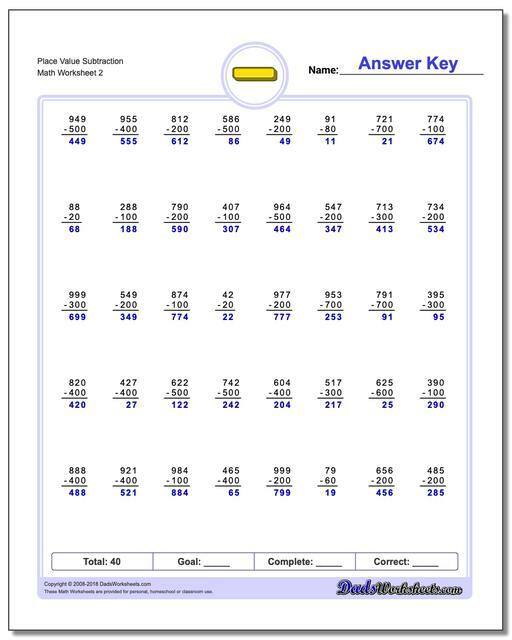 This is an important concept in all the other math facts as well, and these worksheets are a gentle introduction to place value concepts. 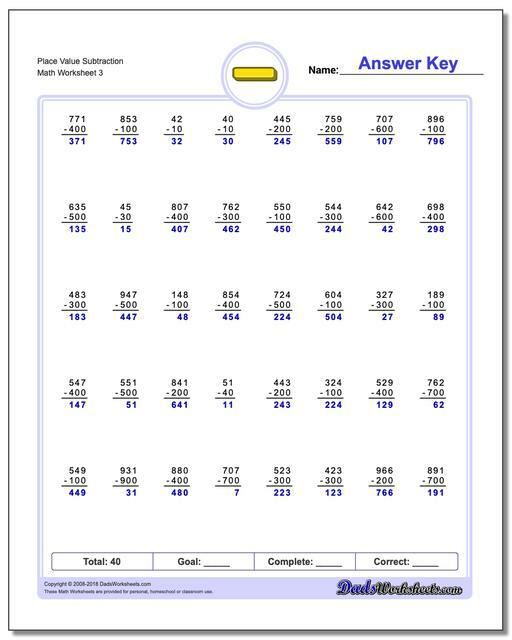 By subtracting zeroes from place values digits, students see where the individual digits wind up in the answers, before they are introduced to the more complex topics like regrouping or borrowing. 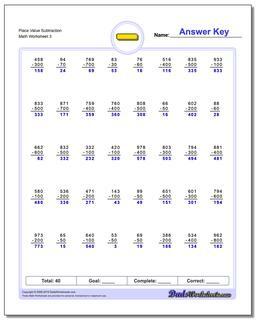 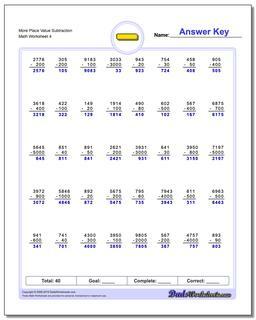 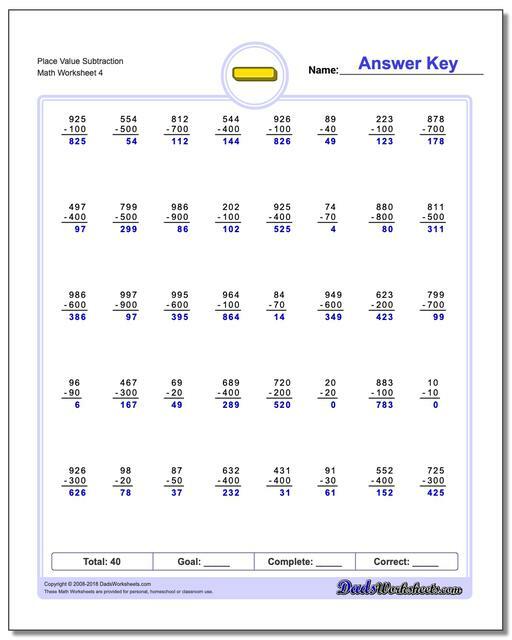 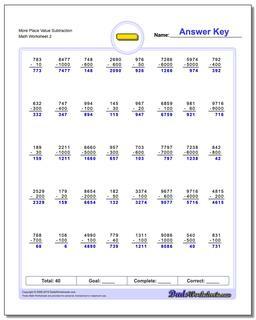 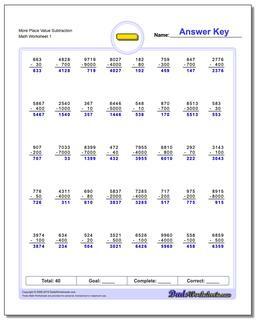 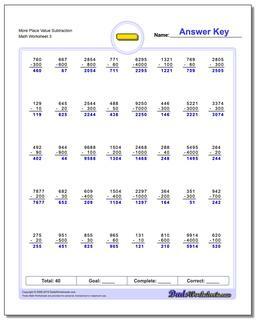 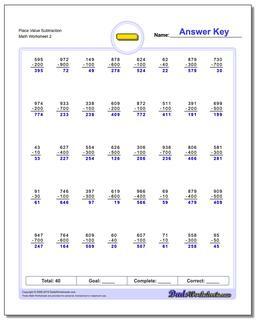 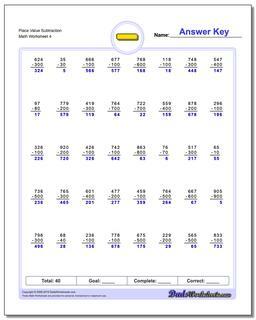 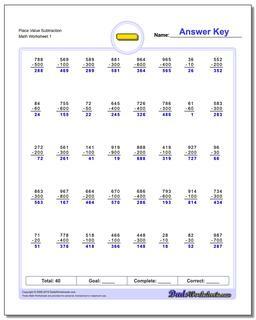 There are several variations of place value subtraction worksheets here with two digit, three digit and four digit problems all with answer keys.